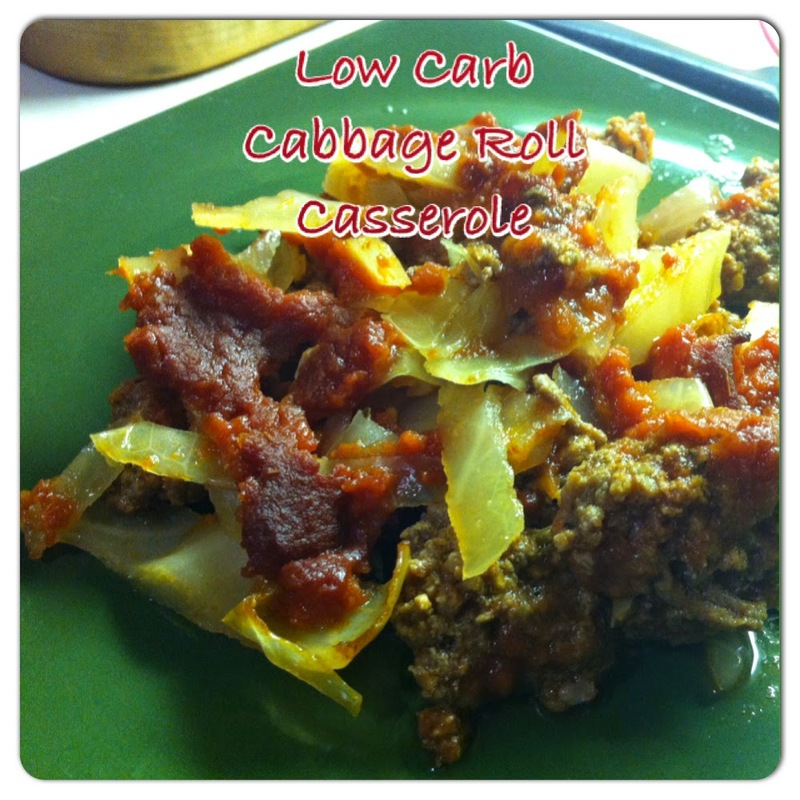 Hubby has been bugging me to make my low carb cabbage rolls lately and I've been a bit lazy. 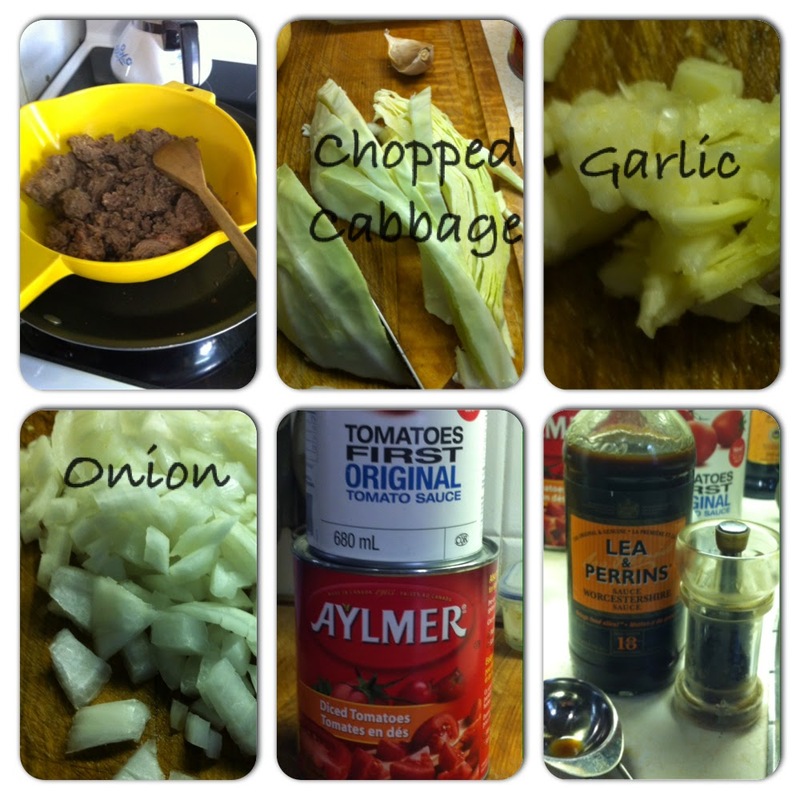 Yesterday I decided since I had 1/2 of a cabbage in the fridge I'd make him a cabbage roll casserole. 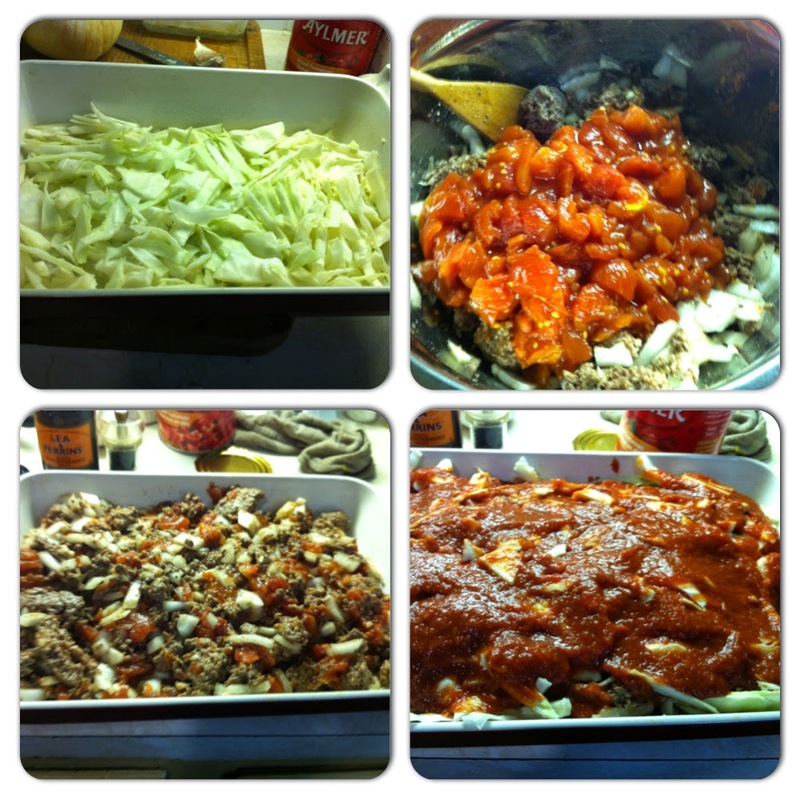 My son and I had a small portion of the dish and hubby finished it off.